Bottom line: Nintendo's Switch features just 32GB of internal storage, not nearly enough for most gamers. Whether it's a HyperX card or one from another manufacturer, odds are, you're going to want expandable storage for your Switch. 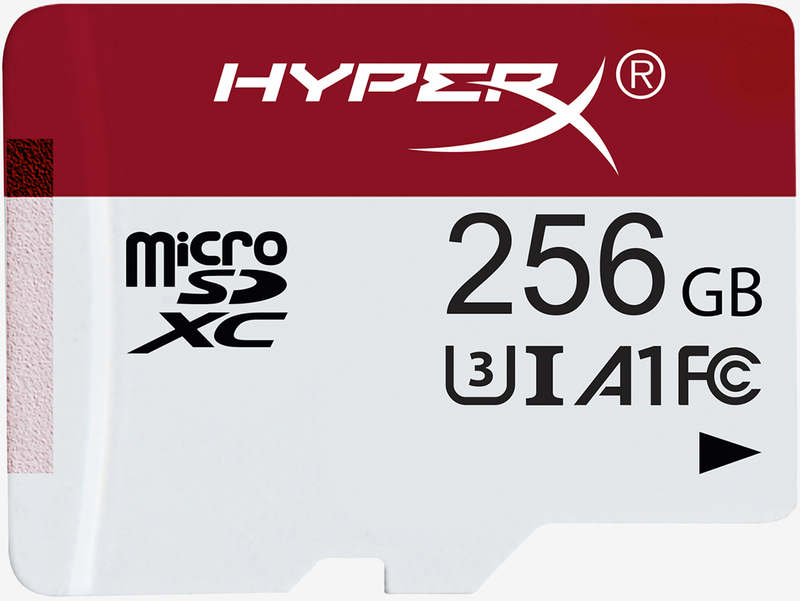 Kingston Technology’s gaming division, HyperX, on Monday launched its new gaming microSD card line in North America. Designed for mobile gamers that need additional storage, the HyperX Gaming microSD cards afford read speeds of 100MB/s and write speeds of 80MB/s. They’re offered in capacities of 64GB (part number HXSDC/64GB), 128GB (part number HXSDC/128GB) and 256GB (part number HXSDC/256GB) and target Nintendo Switch gamers as well as those that play on smartphones, tablets and other portable gaming devices. HyperX says the cards will be available via Amazon in the US and Canada. Pricing starts at $49.99 on the low end and tops out at $199.99 for the 256GB model. The product page on HyperX’s website doesn’t appear to be up yet, nor are the product pages on Amazon, although I suspect these will be up soon. Cheaper options do exist if you’re not looking to spend as much. Over on Amazon, for example, I found this SanDisk Ultra 256GB microSD card for just $79.95.